To pursue your dream of playing a sport that you love at a young age and growing up in a single parent home is not something that comes easily. 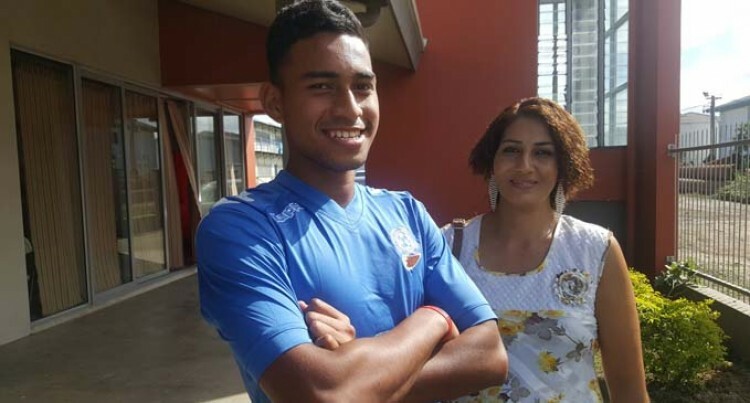 But for 17-year-old Mohammed Naizal everything is settling into place for him as he has received a six-month scholarship to study at One Tree College in Auckland, New Zealand. This was made possible through the Fiji Football Association. Naizal was only six months old when his parents separated but that has not stopped him from chasing after what he wants. Since playing football 11 years ago, Naizal has come a long way to achieving his dream on becoming a professional footballer. His six months at One Tree College will not only improve him as a football player but as a person as well as they offer high quality education. “This is like a really proud moment for me, everyone dreams of gaining more knowledge on their sport from professionals and my dream is becoming true,” Naizal said. “I am still young and I know there is a lot that I need to learn both on the field as a player and as a person as well, so these six months will be really important to me. “An opportunity like this rarely comes along, so when I found out that I was chosen to go, I was really excited and knew that I had to go and make the most of it. The DAV College student said it is important for those who want to play football to start from a young age. “I started playing football when I was in primary school, one day while playing the youth coach picked me up and told me to play for the youth team. I came through the system playing in all grades and I think that has contributed to the person that I am today. “One of the hardest things I had to do was play against my friends, it is not nice to play against your friends and losing to them or beating them. “But growing up I have learnt that when you are on the field, you are not friends that is what professionals do, they are competitive on the field and best friends when the final whistle is blown. Supporting her son on his special day was his mum Nazrul Nisha who said she has not been more proud of her son. “When he told me about the news, I just could not believe that he got this opportunity and I felt so proud of him,” Nisha said.